The prime minister’s Brexit deal was defeated three times in the House of Commons. She was ‘humiliated’, the defeats were ‘humiliating’, the whole thing ‘a humiliation’. That’s not just the verdict of the British media, but the Commons as well. The members decided to take matters into their own hands, but the outcome was the same. They rejected all twelve motions. No, no, no. They didn’t dare dismiss this dozen defeats as a collective humiliation, rather gloated that some of their proposals got less ‘no’ votes than the PM’s deal. Proud losers, you might say. With a no-deal break with Europe closer than ever, we can go back seven and a half centuries to have a look at an earlier no-deal scenario and what the consequences of it were. 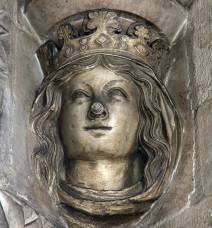 The beginning of the 1260s should have been a time of celebration. England and France had just concluded their first meaningful peace treaty after more than a century of strife. 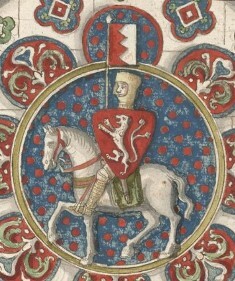 Simon de Montfort, the Earl of Leicester, had nevertheless tried to obstruct the treaty passage to advance his family’s claims against the English Crown. 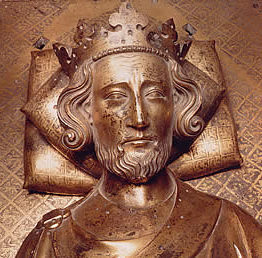 Failing that, he turned Parliament into a battleground between his party of radicals and adherents of King Henry III. 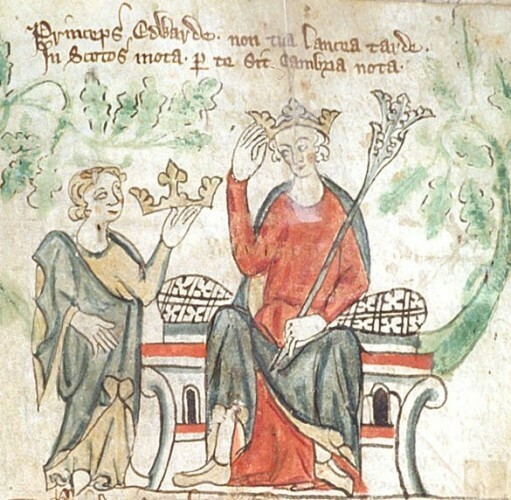 The radicals wanted complete observance of the Provisions of Oxford, a power-sharing agreement between the king and nobility, but which, in Simon’s hands, had been used to erode royal authority. 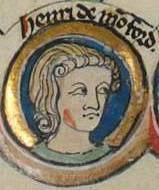 Henry won the showdown and Simon eventually went into exile. 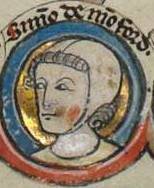 In 1263, he returned to make war with a host of other disaffected barons, clergy and knights. 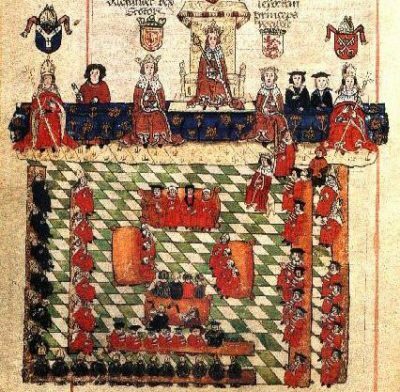 Their original platform was the reinstatement of the Provisions of Oxford, but they were also fed up with the king’s open-hearted policy to people from abroad. After seizing power, they made it official: Only foreigners deemed ‘useful’ would be allowed to stay in England. (Simon, born and raised in France, was such an exemption.) 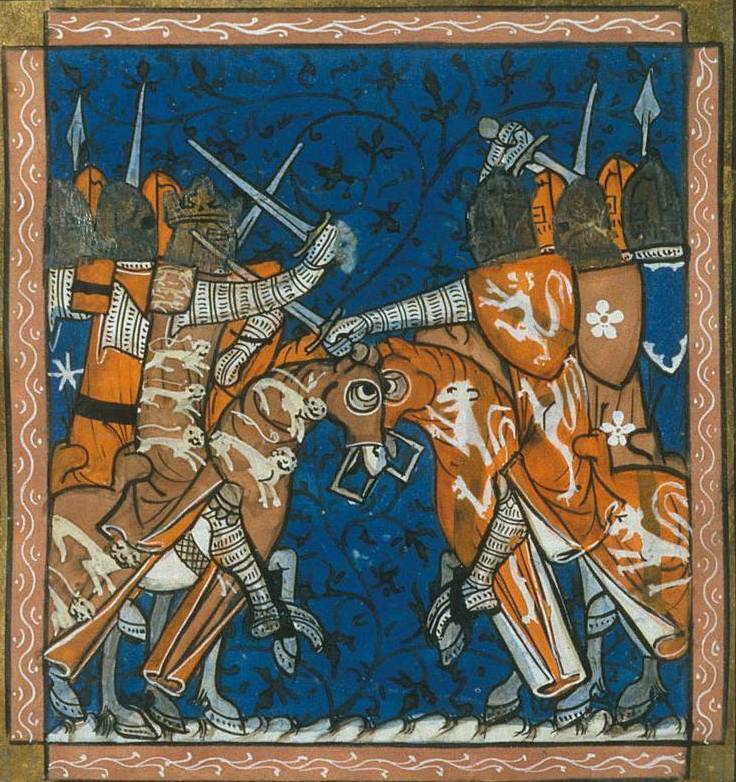 Henry quickly turned the tables and had the Montfortians on the run, but since the issue wasn’t going away, he agreed to let the King of France arbitrate their dispute. So here we see irreconcilable forces in England turning to Europe for a problem they are unable to settle among themselves. Both sides swear to abide by the ruling, but when the Montfortians lose it, they launch a civil war and win it. Henry becomes a figurehead and Simon assumes the role of England’s first prime minster at the head of a constitutional monarchy. Lacking baronial support, Simon opens Parliament to representation from the bourgeoisie and in doing so is remembered as the founder of the House of Commons, that same Commons now familiar for their no, no, no. 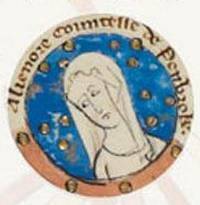 Henry’s queen consort, Eleanor of Provence, puts together an invasion force around Dunkirk. Simon counters by rallying the peasantry to defend their homeland against foreign invaders who, he warns them, are ‘thirsting for your blood’. Cooler heads try to broker a compromise and avert bloodshed. The negotiations keep going back and forth across the Channel until the queen runs out of money for her army. They disband and go home, allowing a triumphant Simon to break off talks with the European negotiators. England is on its own. So what did No Deal look like in 1264? Then as today, the most important issue was the economy. In the forty years of Henry’s reign before this revolutionary period, England had prospered thanks to wool exports from ten million sheep. With this trade now disrupted, Simon is supposed to have said that the English ‘could live comfortably on their own without foreign trade’. Here was the first instance of a ruler in Britain telling the people to keep a stiff upper lip. His supporters responded by wearing only white cloth to show they were willing to live without fashionable clothing and other commodities from abroad. In fact, Simon wants to restore trade relations because his government is bankrupt and living off piracy in the Channel. As for the thorny political issue of foreigners, they still haven’t left. The xenophobic Earl of Gloucester doesn’t much like how one of them (Simon) is getting all the power and glory and betrays him. 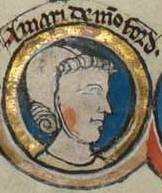 Simon is killed in battle and Henry III is once again the undisputed ruler of the country. The experiment is over, but the divisions and bitterness last for years. It takes a decade alone to put the wool trade back on its normal course. More ominous was the change in national character. 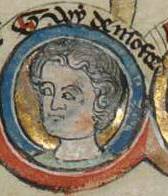 Simon de Montfort had been able to foment rebellion because political imprisonment and execution were unheard of under Henry III. No more. Simon’s body was dismembered and paraded around as more or less the gruesome inauguration of a new age. Obstructionism and flouting the existing order were no longer tolerated. Troublemakers ended up on the chopping block, and only then if they were lucky.